These crunchy garlic tart shells are ver healthy since they include cheese, though on the other hand they are very tasty. 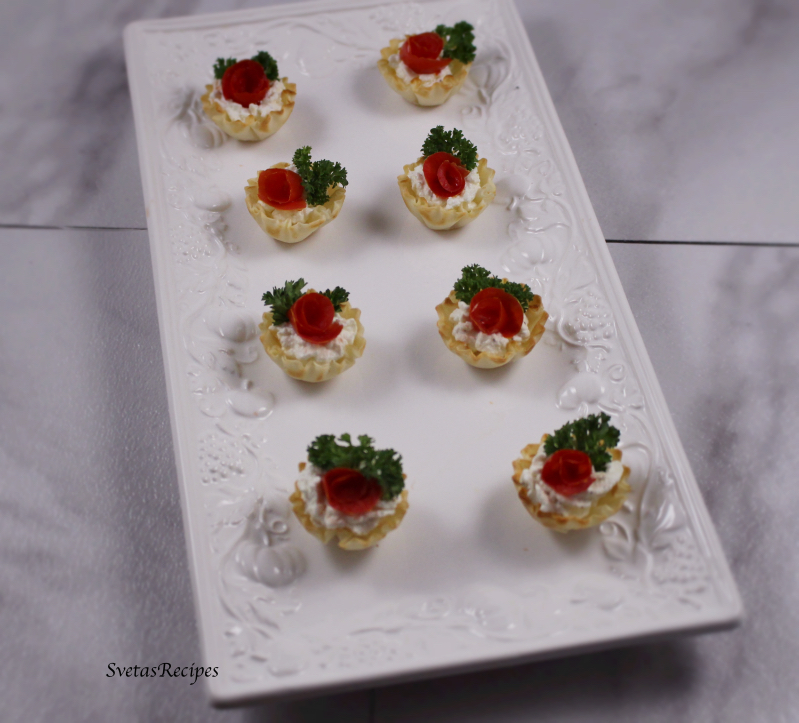 This appetizer includes garlic, mayonnaise and much more. Though other cream tart shells may take longer to make these don’t need much time at all. 1.) Wash and dry parsley and tomatoes. 2.) In a mideuim size bowl add farm cheese, crushed garlic, mayonnaise, pinch of pepper and mix well. 3.) Place your cheese mixture into a decoration bag. Lightly putting pressure on the top pipe out small roses in each tart shell, lastly decorate your tart shells with parsley and tomatoes. Now place on a dish and serve! 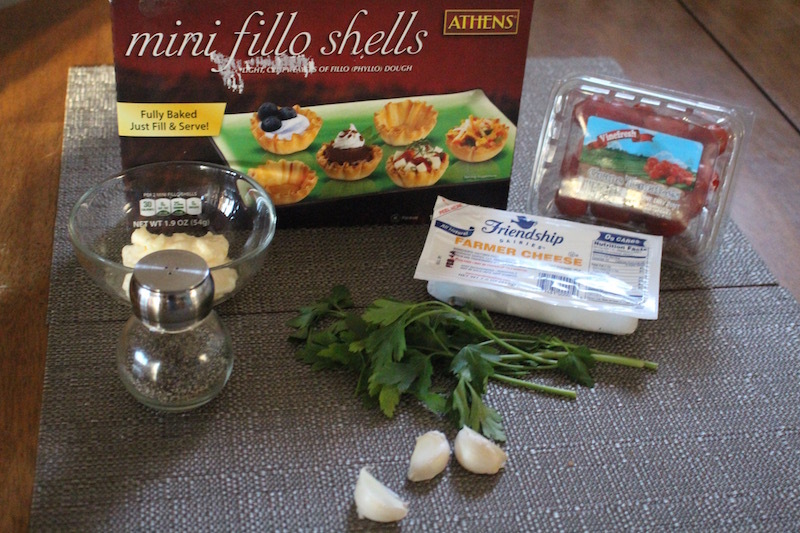 These crunchy garlic tart shells are ver healthy since they include cheese, though on the other hand they are very tasty. This appetizer includes garlic, mayonnaise and much more. 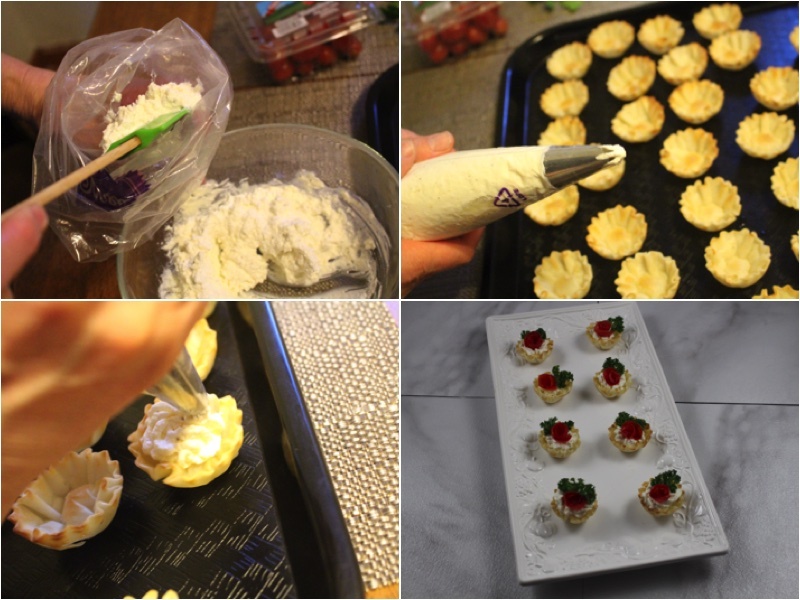 Though other cream tart shells may take longer to make these don't need much time at all. Wash and dry parsley and tomatoes. 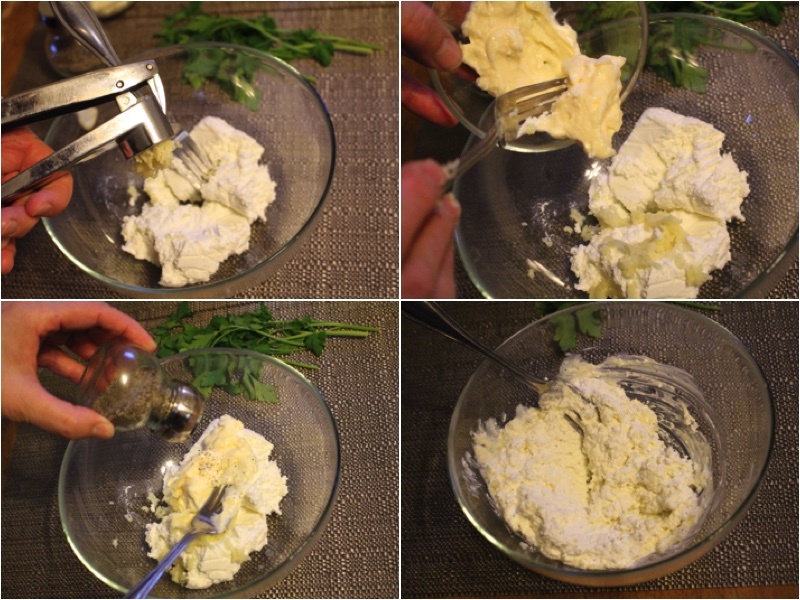 In a mideuim size bowl add farm cheese, crushed garlic, mayonnaise, pinch of pepper and mix well. Place your cheese mixture into a decoration bag. Lightly putting pressure on the top pipe out small roses in each tart shell, lastly decorate your tart shells with parsley and tomatoes. Now place on a dish and serve!